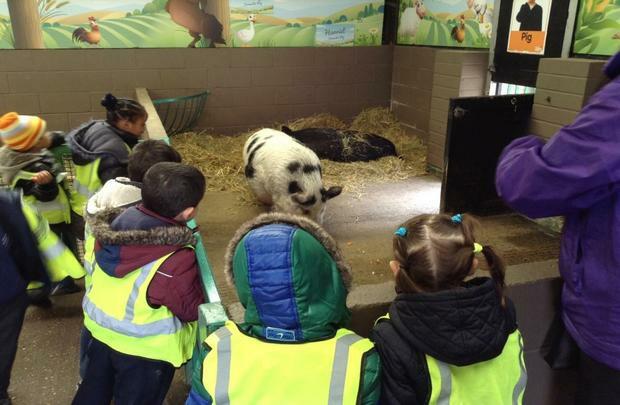 This term we went to visit the animals at Paradise Wildlife Park it was a fun day had by all and they enjoyed feeding the farmyard animals. 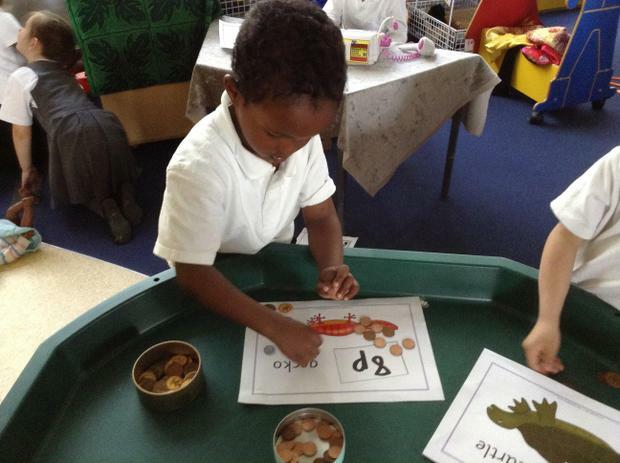 We have been busy learning about money and some of us are beginning to use everyday language related to money. 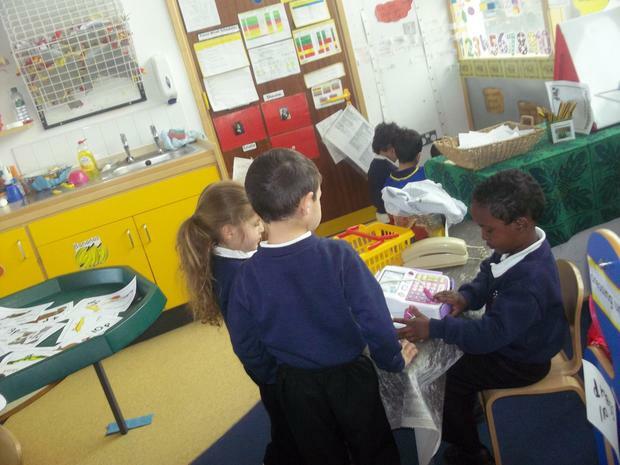 We made a toyshop role-play and wrote our own price labels. 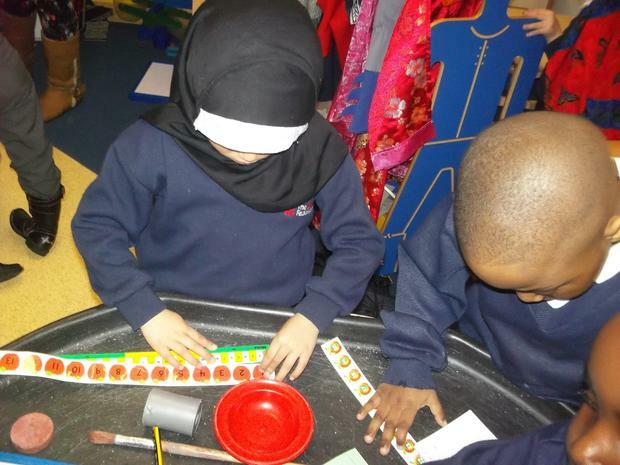 We have also been learning the value of different coins up to £2 and some of us can use coins to make different amounts up to 10p. 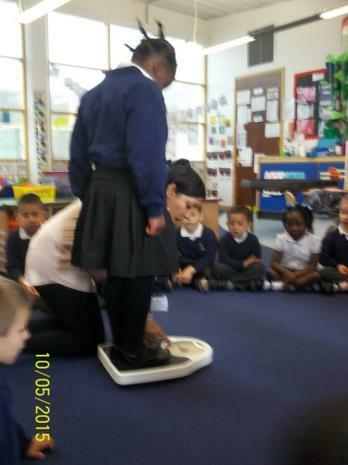 We have also learnt about weight this term and we have been using the scales to weigh ourselves it was a lot of mathematical fun. 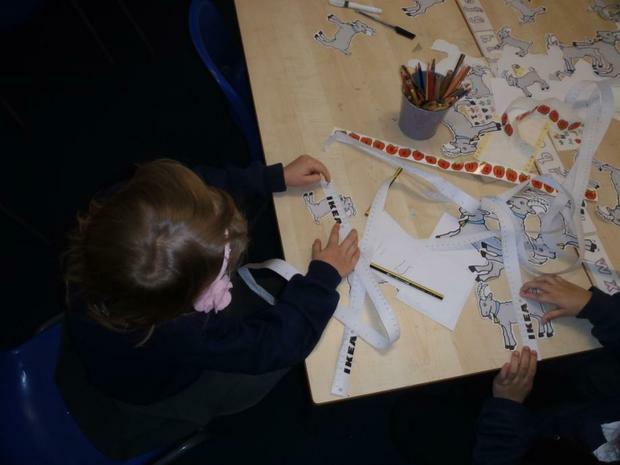 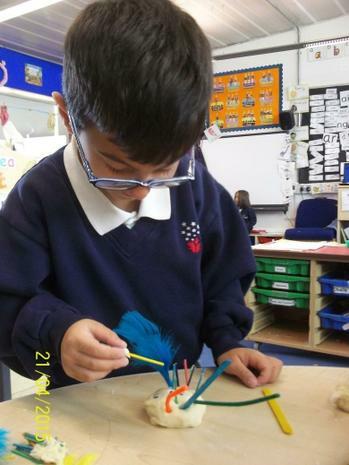 We have been reading the story Alien’s love underpants and have been learning all about space and making creepy aliens. 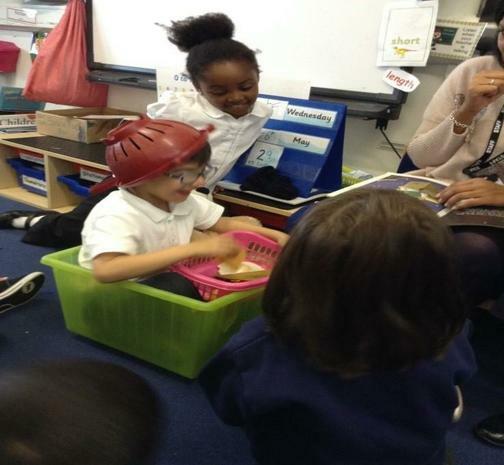 We also read the story whatever Next and the children pretended to go to the moon as you can see Baby Bear is off to the moon! 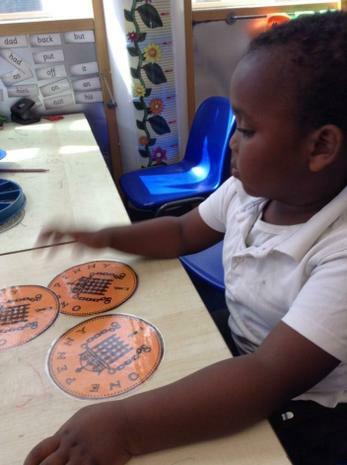 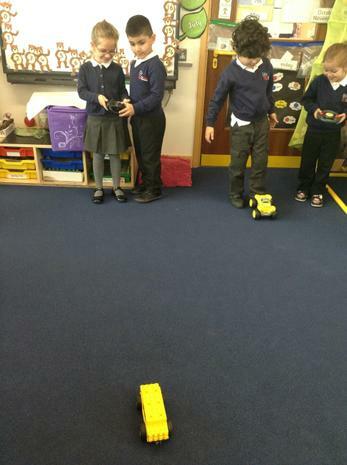 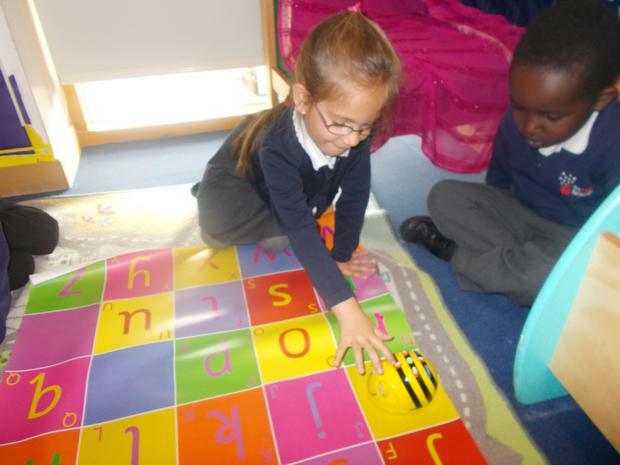 We have been exploring the use of different technological toys in our class and how they can help us with learning. 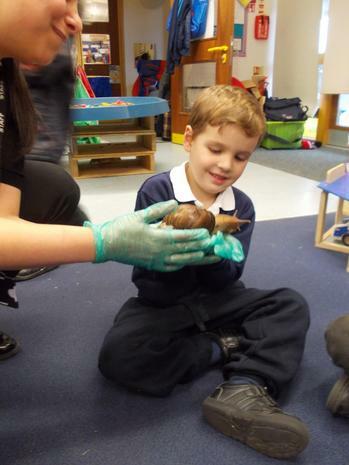 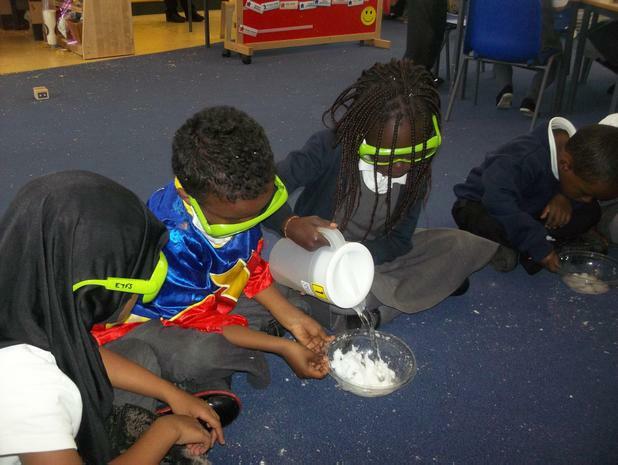 We really enjoyed science week and many of us are now aspiring scientists. 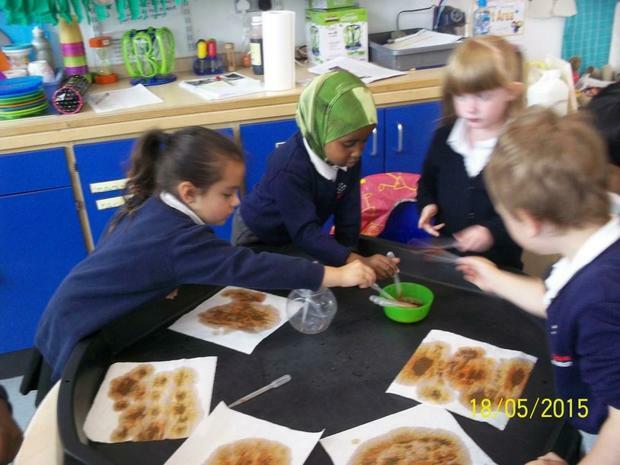 Yellow have explored making snow from nappies and are amazed at what happens when we mix food colouring with milk and washing up liquid. 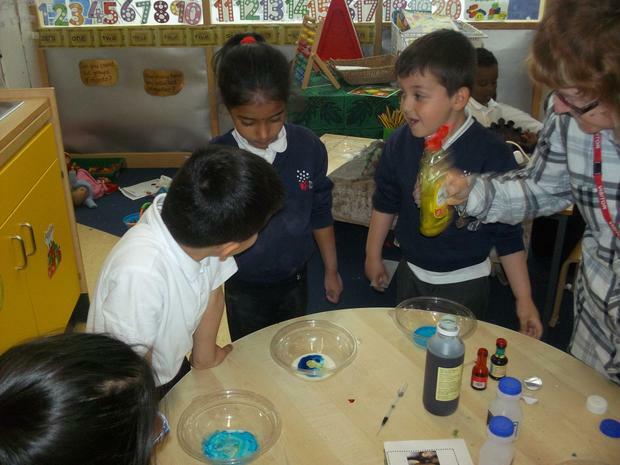 We even made a volcano that erupted! 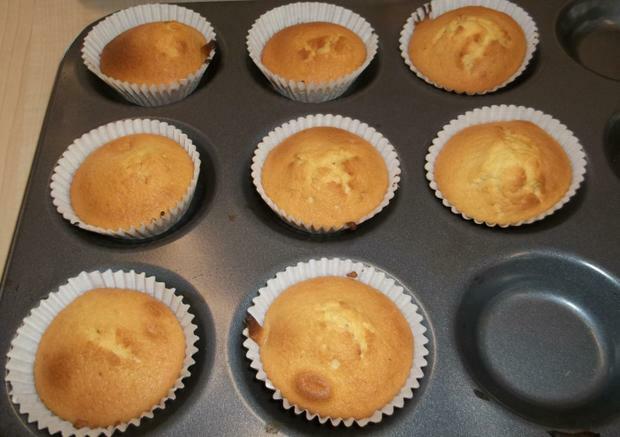 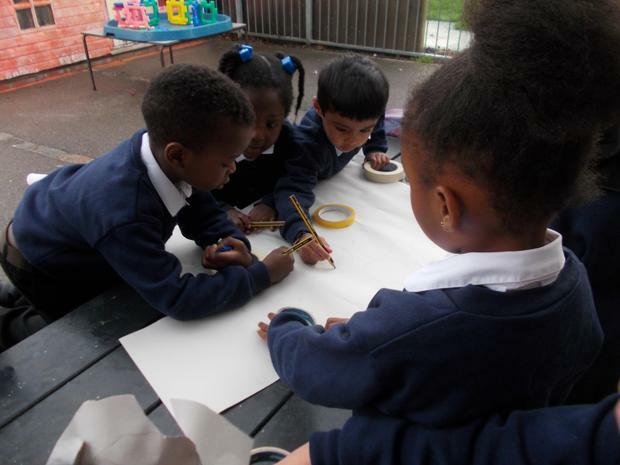 We have been able to make observations and explain why some things occur as well as talk about changes. 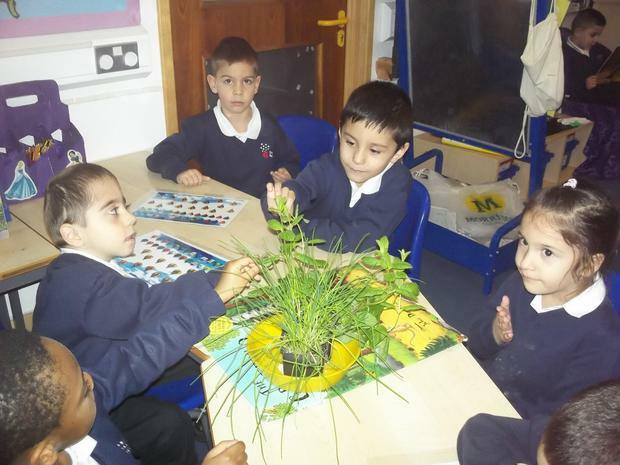 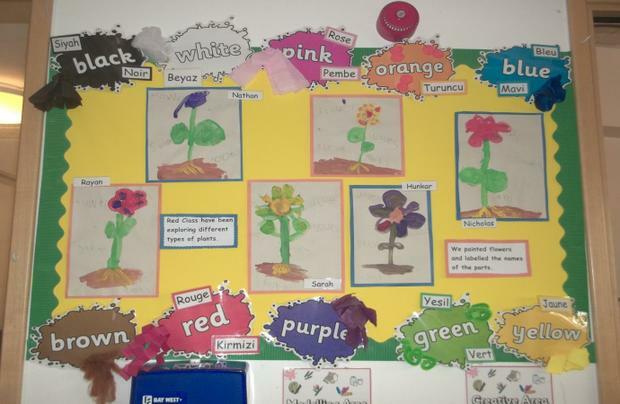 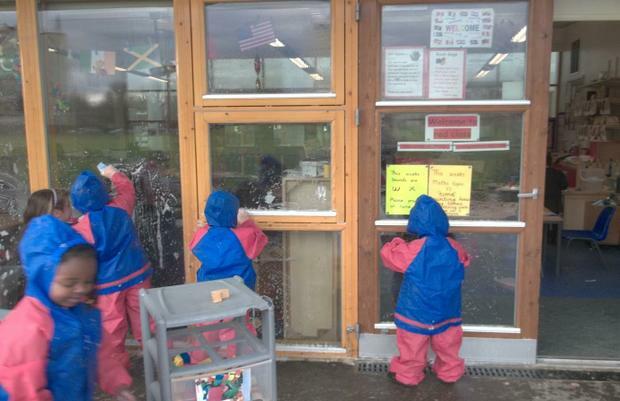 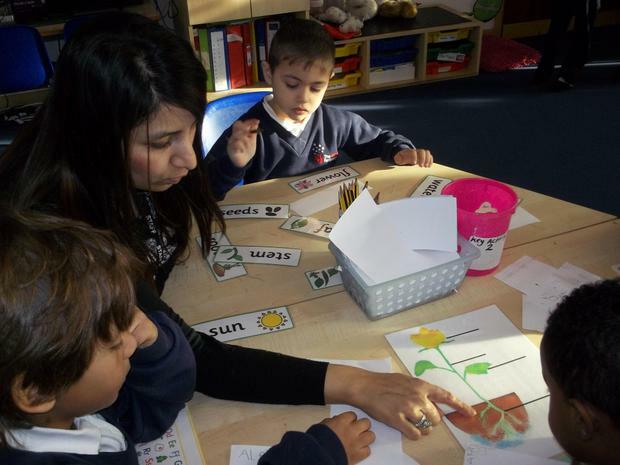 In Reception we have been learning about Growing Plants . 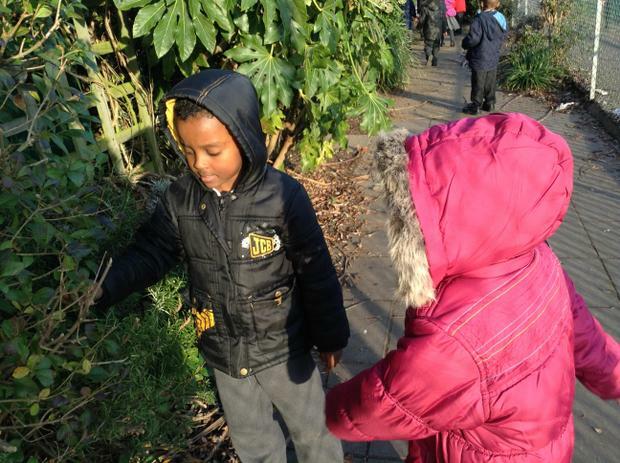 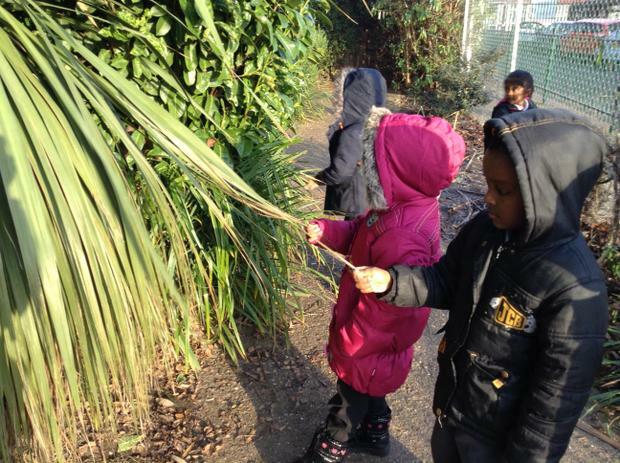 We observed plants growing in their natural environments around our school. 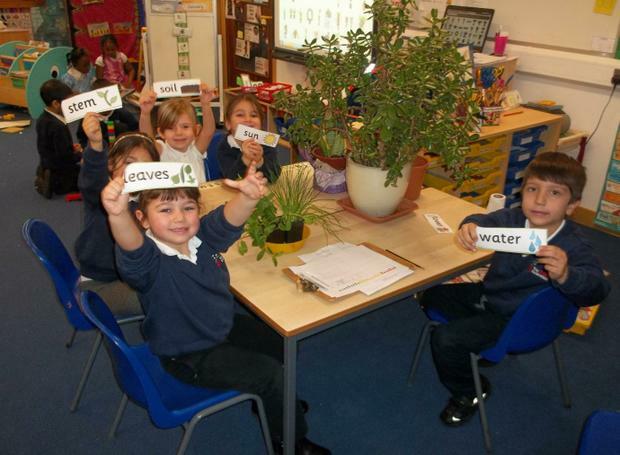 In our class we described and talked about different parts of a plant. 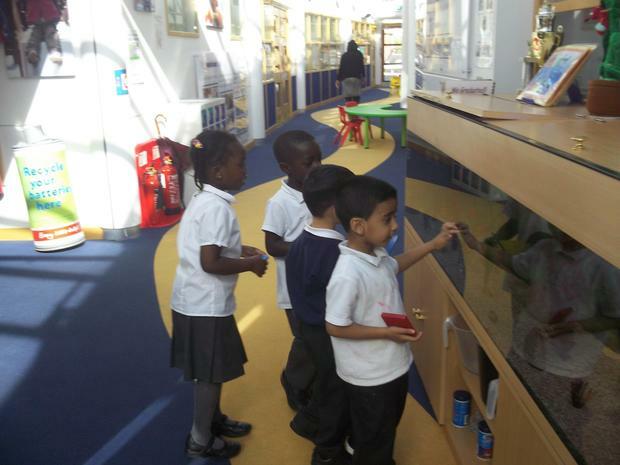 We have planted our own cress seeds and watched them grow over a week. 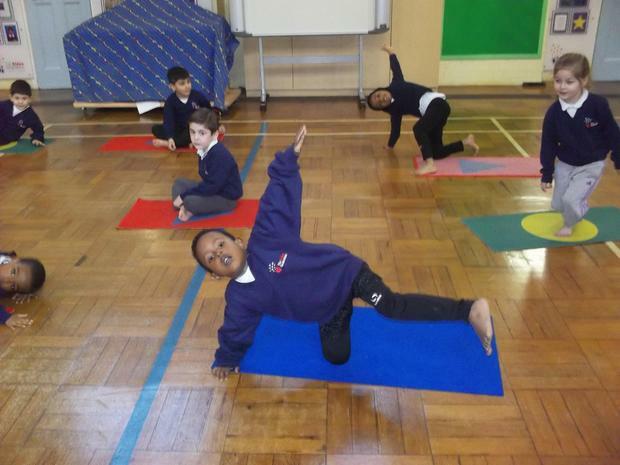 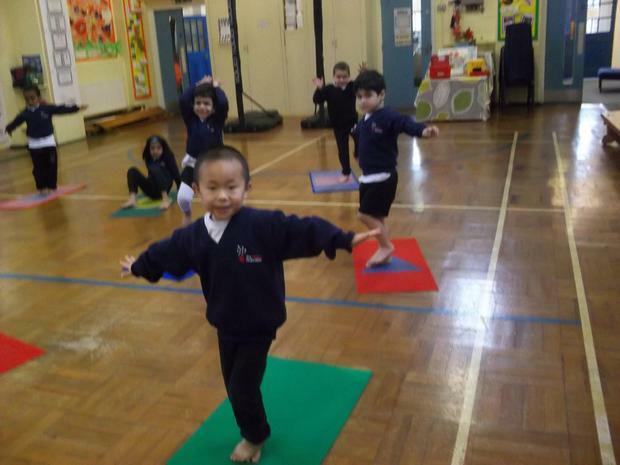 In P.E we are learning about different types of balances in Gymnastics. 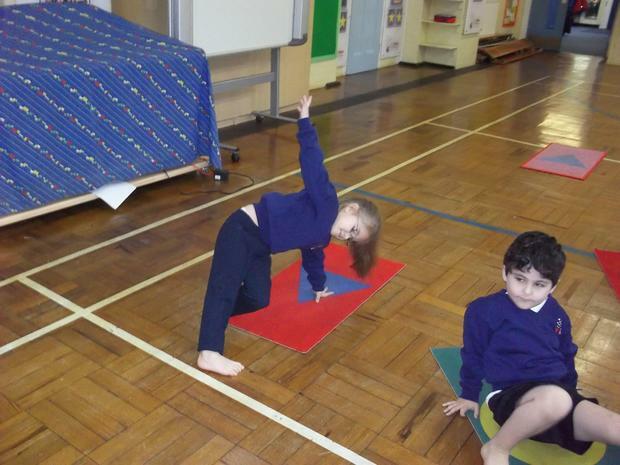 We can balance on different parts of our body. 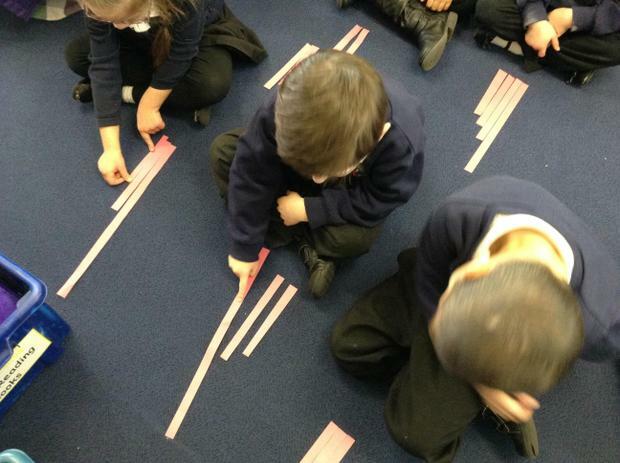 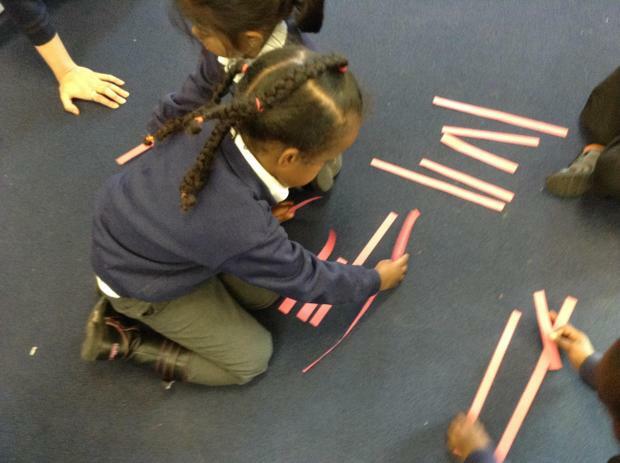 In Maths we can comapre measurements and talk about which is longest/shortest. 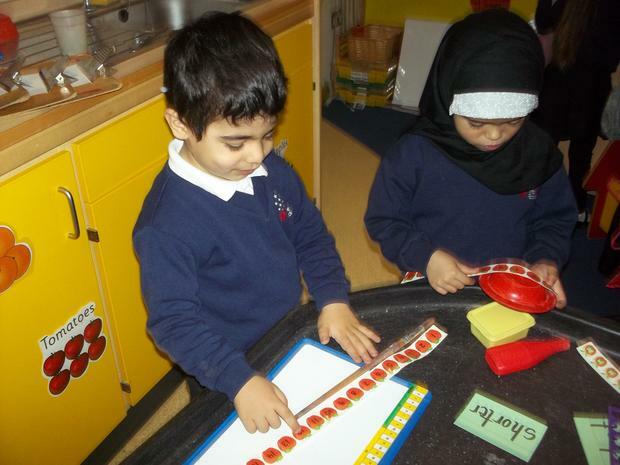 We are also beginning to measure using numbelines and talk about how long/short and object is. 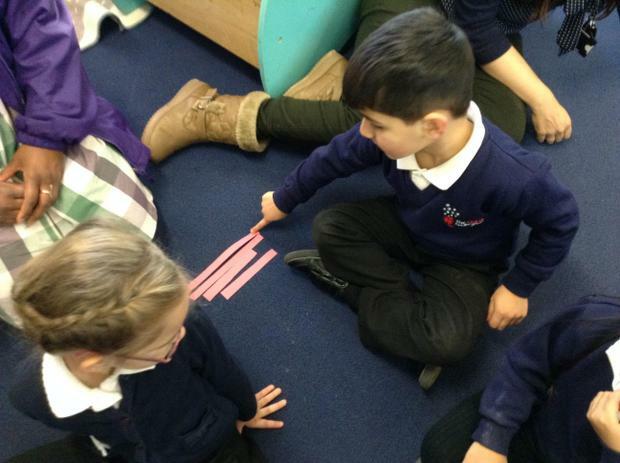 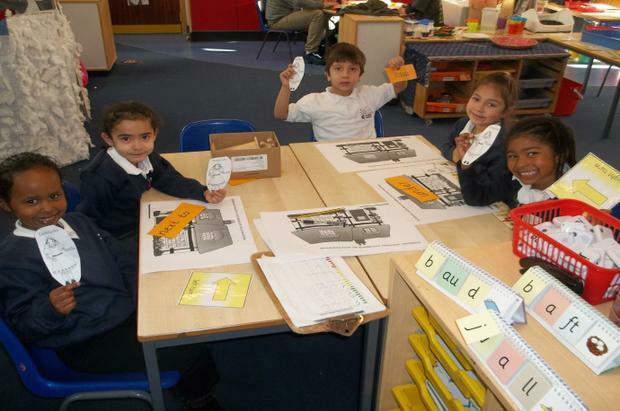 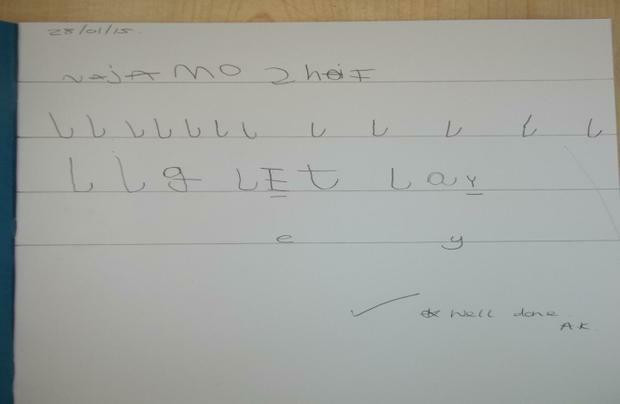 We have been learning about positional language. 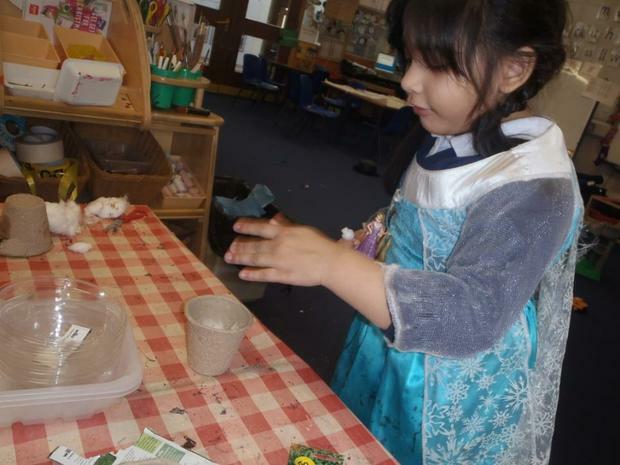 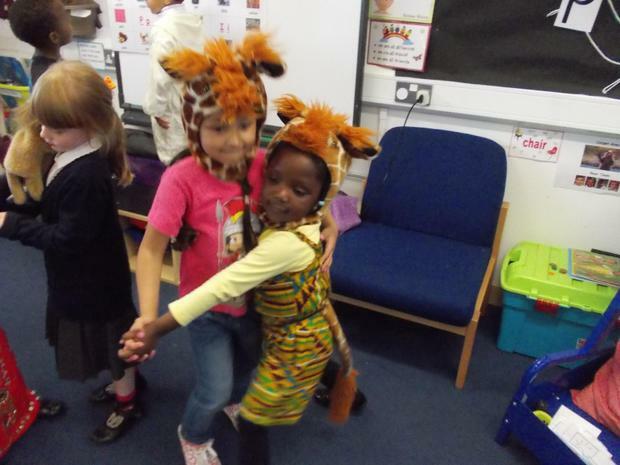 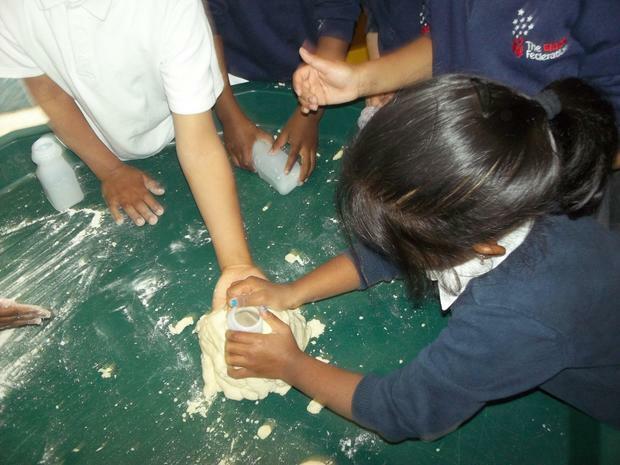 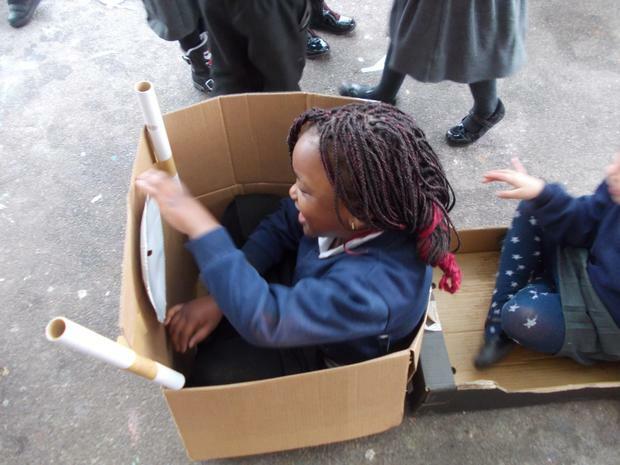 The children enjoyed putting Goldilocks into different positions using the cottage from the story. 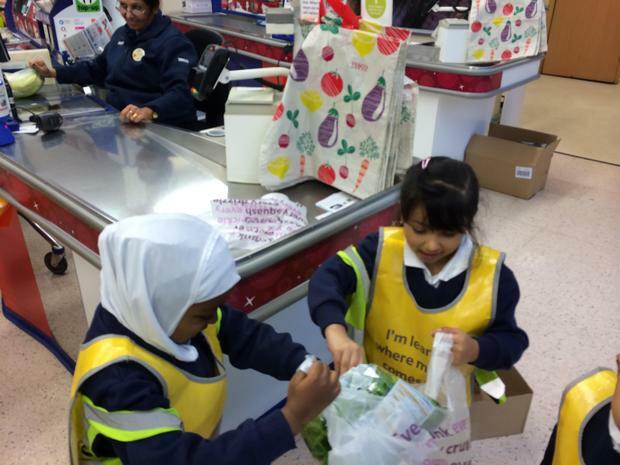 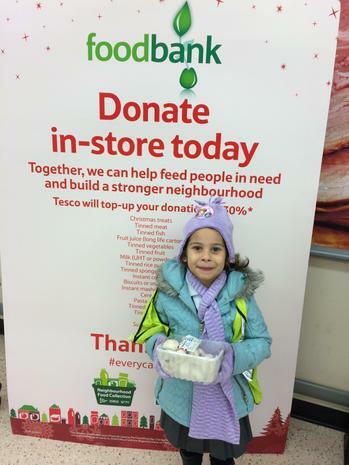 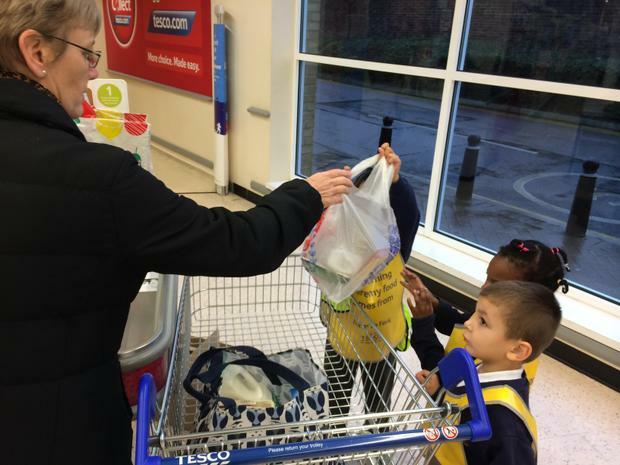 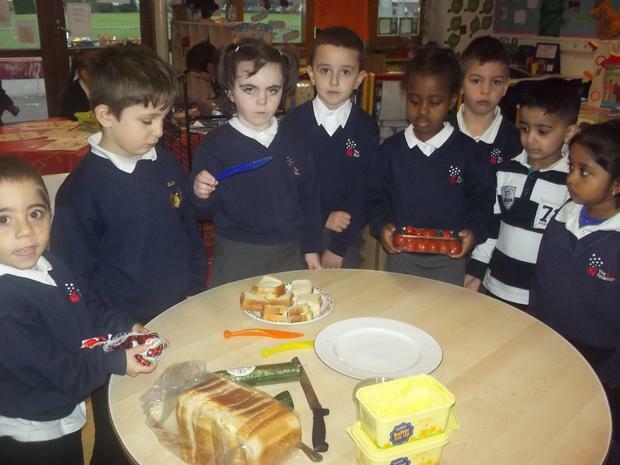 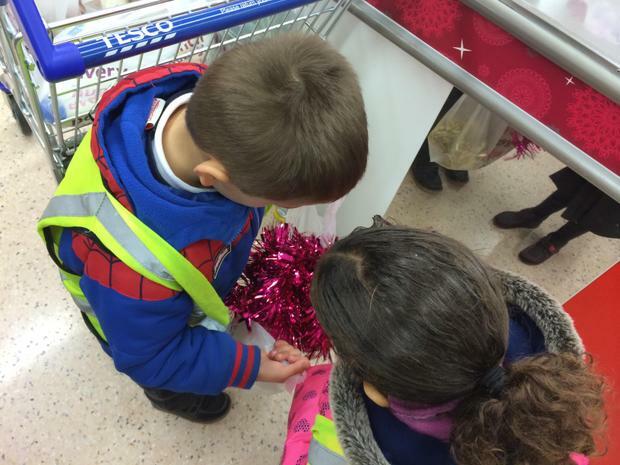 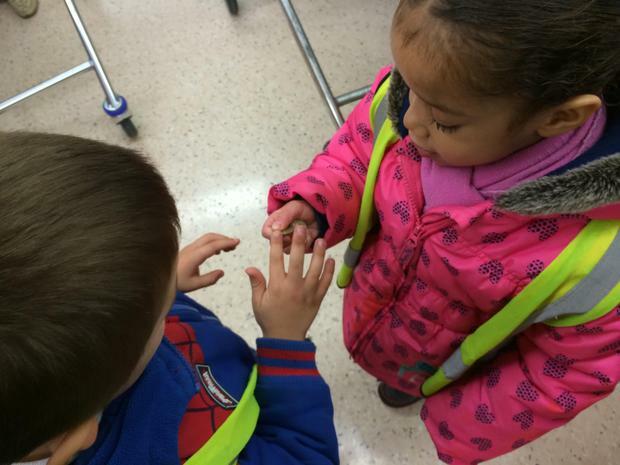 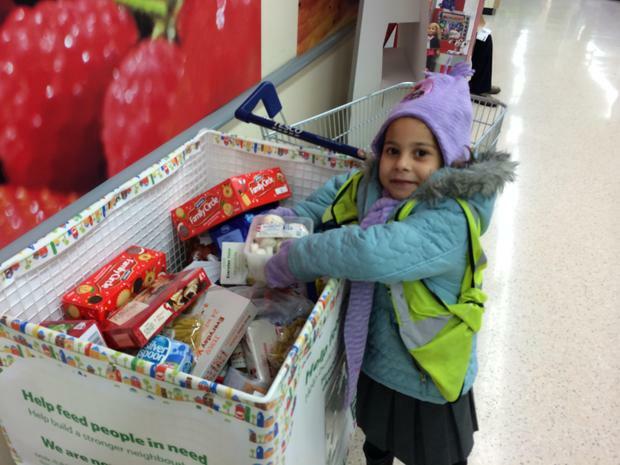 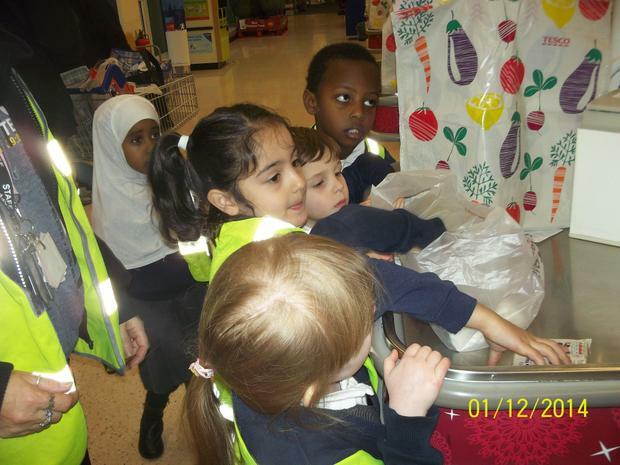 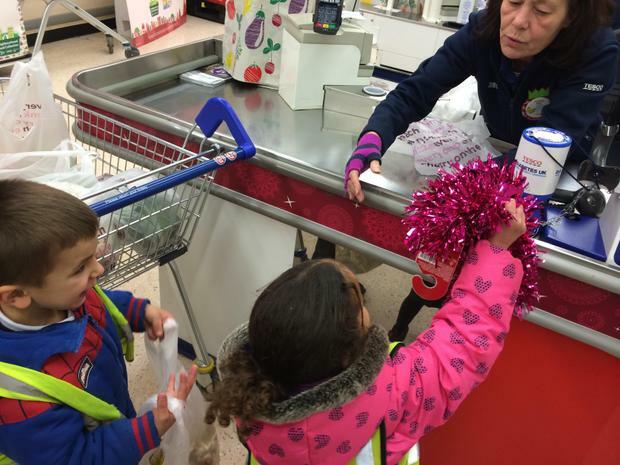 We went to Tesco and made a food bank donation. 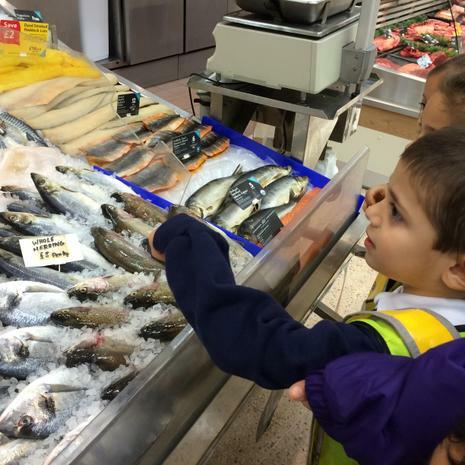 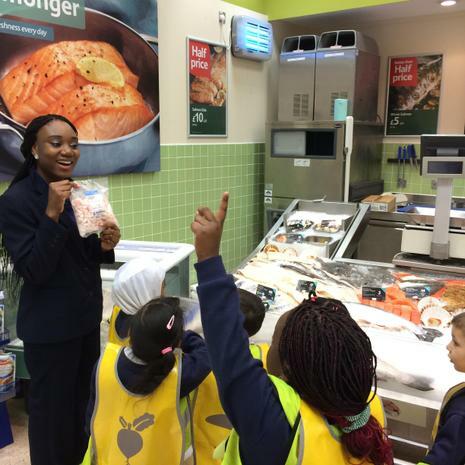 We also learnt about the different types of fish and seafood found at the fish monger and helped to pack customer bags.